EcoDaddyo is about taking simple, practical steps to a more environmentally sustainable life for me and my family. We gather cool, creative ideas with tried and true techniques to help you save money, live better and live greener. 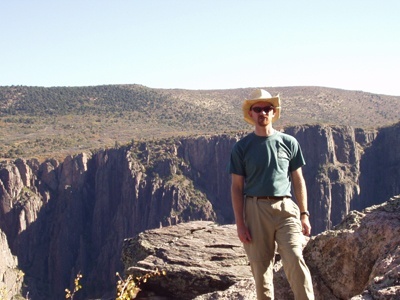 We also discuss the unique climate and ecological challenges that come with living in New Mexico and the American Southwest. Living in modern America it is easy to live wastefully. Our society has become convenience centered and those convenient goods and services are usually disposable. Disposable goods and a "use it once" approach to daily life are definitely not sustainable. Given that our society is so oriented to convenience, living a more sustainable life can seem to be a little inconvenient. Changing your lifestyle to be cool and green takes time and effort. We realize that personal changes require effort and will focus EcoDaddyo on how to make one change at a time. We hope that you will begin to make sustainable changes in your life and join us in becoming better stewards of the planet Earth. In short: EcoDaddyo is Cool, Practical and Sustainable.